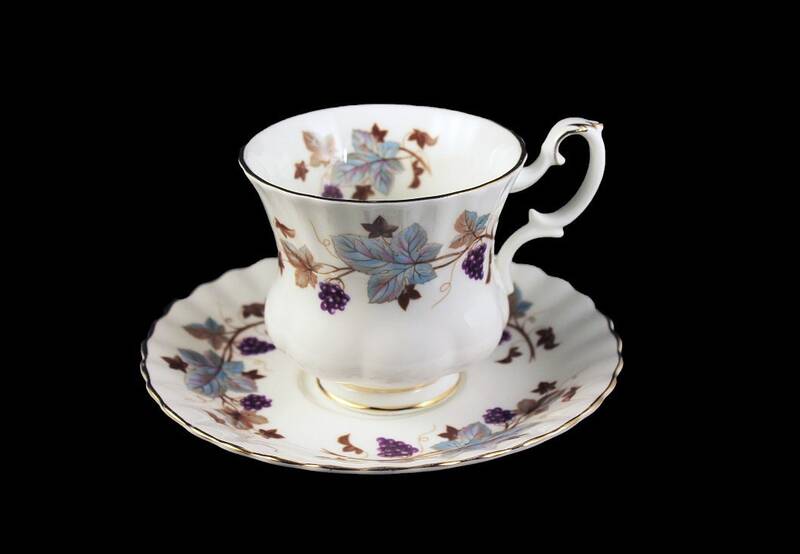 This is a gorgeous fine bone china demitasse teacup by Royal Albert. 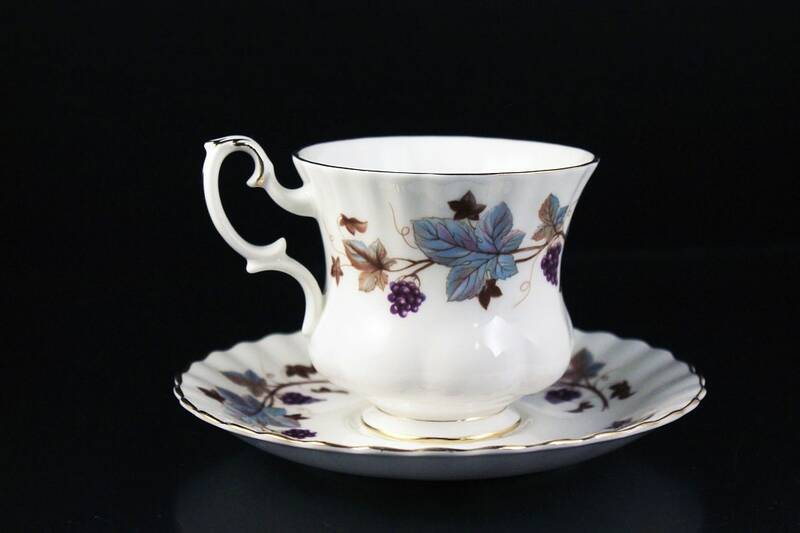 The pattern is called Lorraine and consists of a Leaf and Grape design and the shape is called Montrose. This would make a great display piece in a china cabinet, shelf, or hutch. A great small cup to enjoy your favorite tea, coffee, or espresso on the porch, patio, or veranda. A perfect gift for a teacup collector. A demitasse is a small cup used to serve Turkish coffee or espresso. Demitasse is the French word for half cup. 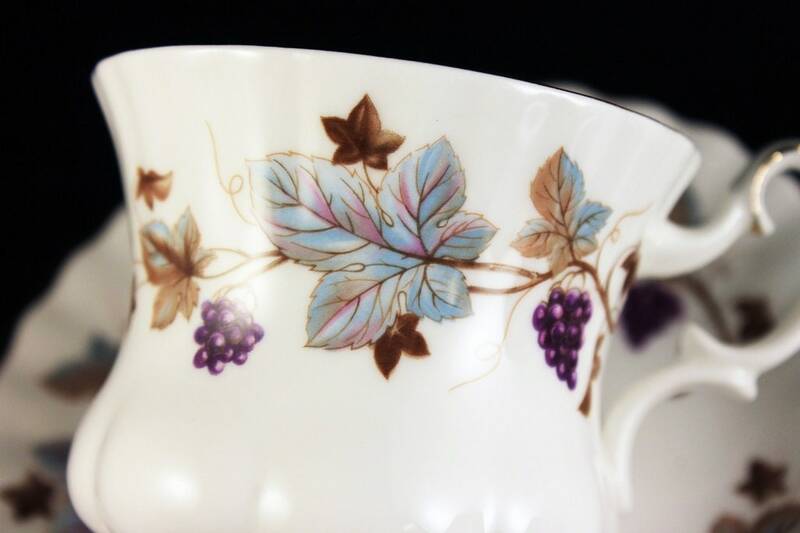 The story of Royal Albert stretches back over 100 years. 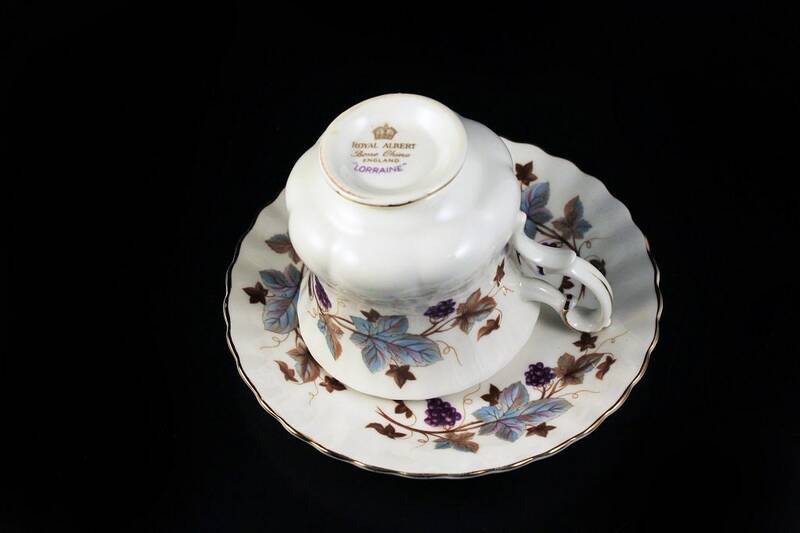 Whilst the Royal Albert brand was created in 1904, its roots are to be found in the Albert Works, built in 1896. The Albert Works commemorated the birth of Prince Albert in 1895. The Albert Works was owned by Thomas Wild and his sons who specialized in affordable tea, breakfast and dessert wares with floral designs. 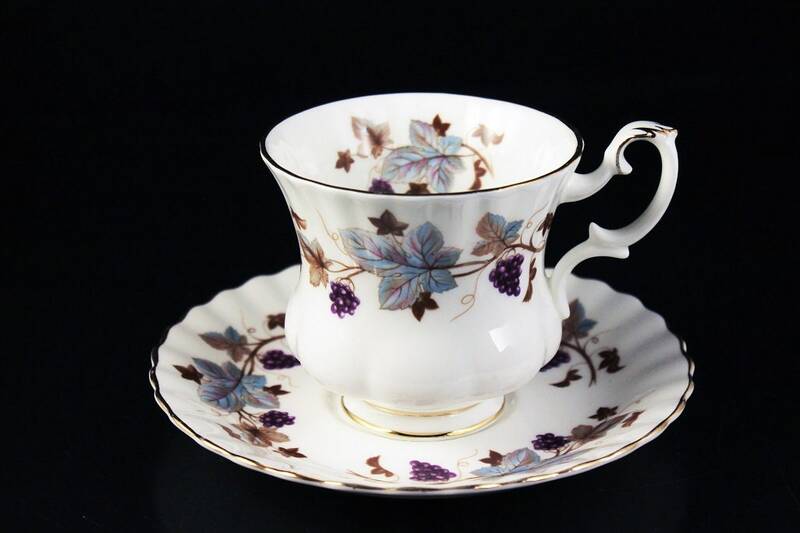 They built up a reputation for producing beautiful china tea and breakfast sets and firmly established the Royal Albert brand. 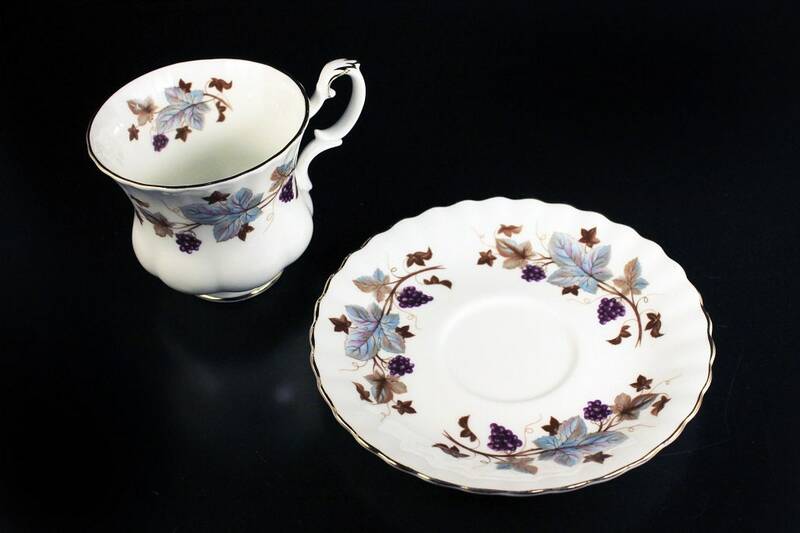 English bone china was admired for its lightness, translucency and its soft subtle almost pearly white quality. 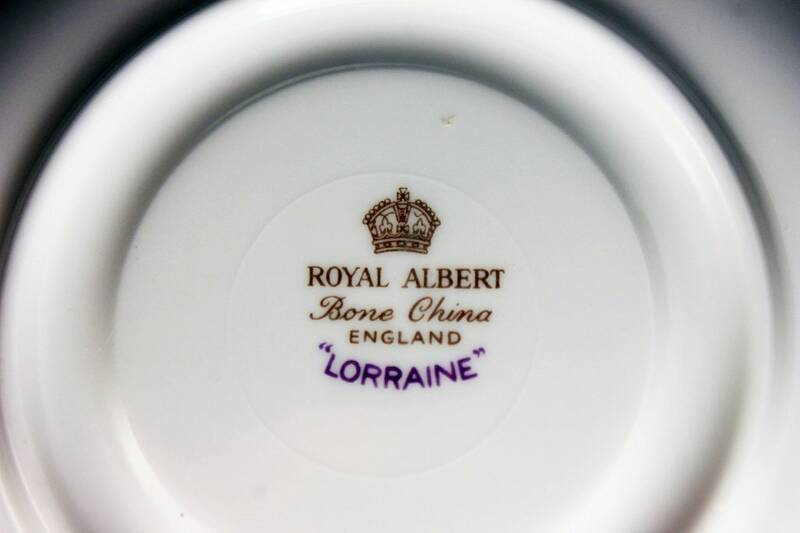 The Royal Albert brand enjoys the distinction of two "Royal Warrants." A Royal Warrant is bestowed upon people or companies who have regularly supplied members of the Royal Family with goods or services. It is regarded as a mark of supreme excellence and quality which cannot be bought or sold. 2 3/4 inches in diameter. The teacup is in excellent condition. No chips, cracks, or crazing. There is minor rubbing to the gold from years of use. 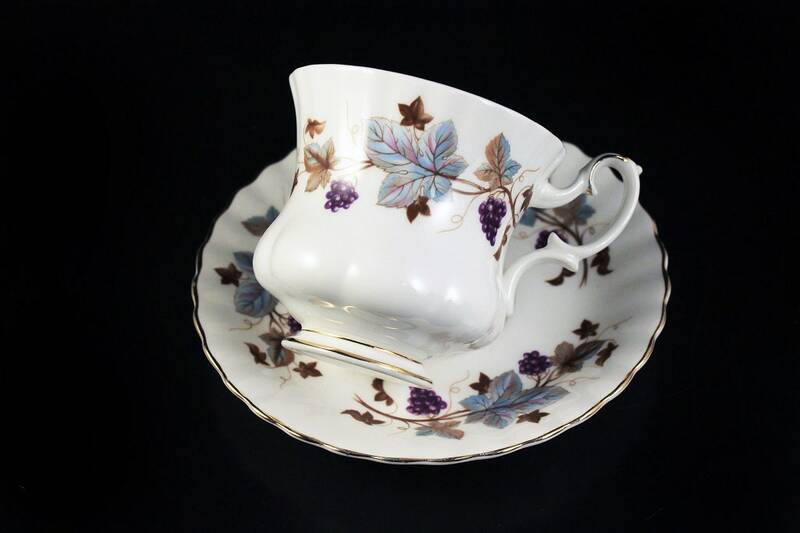 This is a great teacup for the collector. It would make a marvelous gift for a wedding, housewarming, holiday, or special occasion.